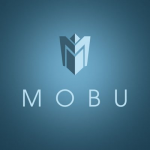 Visit the MOBU airdrop page. You will get 50 MOBU tokens. Also get 25 MOBU for every referral and an extra 10 MOBU if your referral invites another friend. Hello guys! Is the MOBU airdrop still open for new participants?